Quickly and easily update your 5 Person Trauma Kit before it expires. Our 5 Person Trauma Refill Kit makes it quick and affordable to maintain peace of mind and replenish your essential medical supplies. 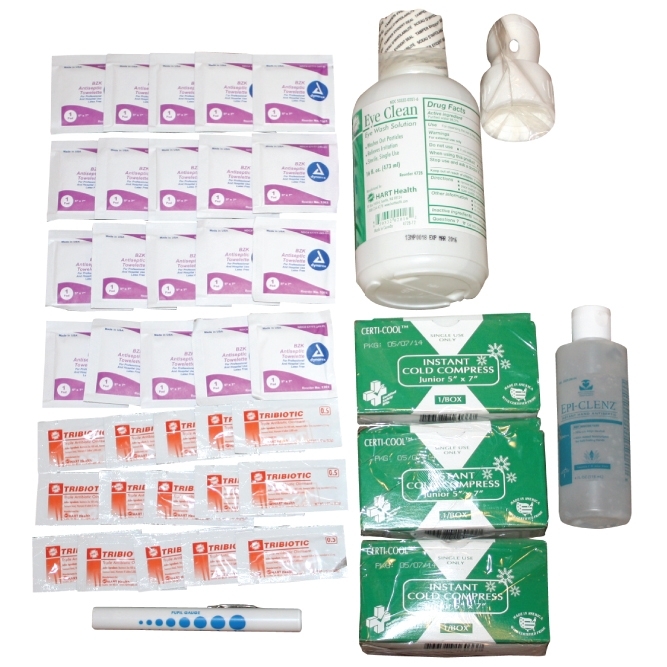 This refill kit contains all the replacement items which expire, to update your 5 Person Trauma Kit and stay prepared. 1 - Antiseptic Bio-Hand Cleaner 4 oz. 1 - Eye Wash 16 oz.